Baltimore, MD, February 12, 2018 — MacKenzie Commercial Real Estate Services announced today that it has been selected by The RMR Group to lease Annapolis Commerce Park East, a two-building, 104,000 square foot office/flex property located at 2001-2003 and 2009-2011 Annapolis Commerce Park Drive in Annapolis, Maryland. The buildings are managed by The RMR Group, an alternative Asset Management firm with approximately $30 billion of assets under management, including more than 1,700 properties, as of September 30, 2018. Annapolis Commerce Park East provides a headquarter setting complete with a state-of-the-art 50,000 square foot conference/training center with superior access to US Rt. 50 and Interstate 97 and is across the street from the Westfield Annapolis Mall. With up to 104,000 square feet available, Annapolis Commerce Park East represents the largest block of office/flex space available for lease in the Annapolis market. MacKenzie also represents The RMR Group on its leasing efforts for Harbor Court, a high-end, mixed-use project that includes the luxury Royal Sonesta Hotel and condominium tower, located in Baltimore’s Central Business District. The MacKenzie team of David McClatchy, Trish Farrell, and Bethany Hobbs will be providing leasing and marketing support for Annapolis Commerce Park East. 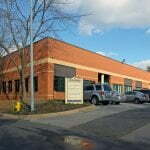 For more information on Annapolis Commerce Park East, please visit www.mackenziecommercial.com. For leasing inquiries, please contact David McClatchy at dmclatchy@mackenziecommercial.com or 410. 953.0366; Trish Farrell at tfarrell@mackenziecommercial.com or 410.974.9003; or Bethany Hobbs at bhobbs@mackenziecommercial.com or 410.953.0359.